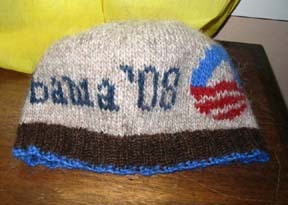 I made this hat for Jen, who has been a tireless volunteer for the Obama campaign. Chances are, if you attended an Obama event in this district, be it precinct-captain training or a voter-registration drive, Jen had something to do with it. 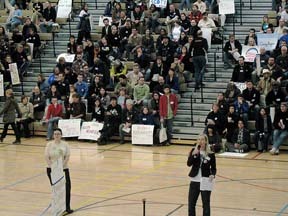 Jen (on right) MC-ing the process of electing Obama delegates at the legislative district caucus. 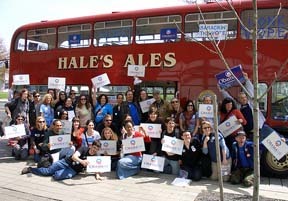 Double-decker bus trip to Oregon to register voters for the upcoming primary. What a great idea, and what a fun day! Jen, who helped plan this thing, is in the back row, fifth from the right.